Hana wa sakura gi, hito wa bushi…! The (best) flower, the sakura, the (best) man, the samurai. Our emblem is the cherry blossom flower (sakura). 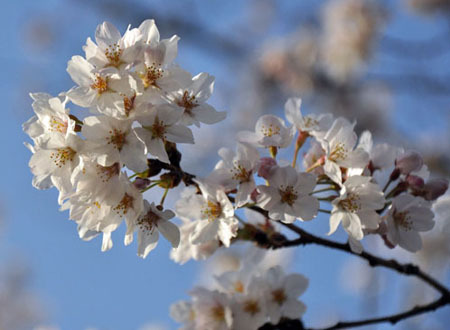 The cherry blossom flower is one of the symbols of Japan and lives only for a few days. The flower is held in the highest esteem by the Japanese people for its beauty and due to its brief blooming period has come to symbolize the transience of life. The samurai warriors admired the sakura and used it to decorate their swords and armors. The sakura represented their dedication to a way of life that places value to “how” one lives, instead of “how long” one lives.